Italian researchers discover early sign of dementia related to high blood pressure. Only somewhat elevated blood pressure in mid-life increases the risk of developing dementia by 45%, new research concludes. 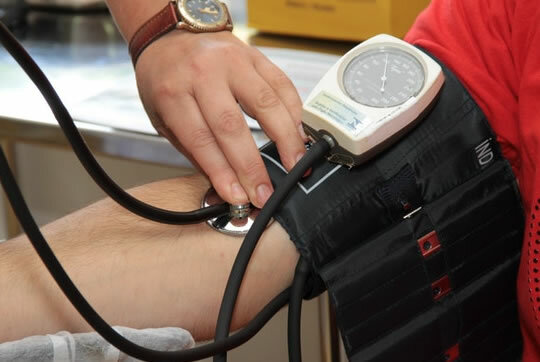 Fifty-year-olds with blood pressure of more than 130/80 had the increased risk, a new study of over 9,000 people in the UK has found. This level is only somewhat elevated (120/80mmHg is the top of the ideal range) and below the level at which hypertension is normally treated with drugs. “Our analysis suggests that the importance of mid-life hypertension on brain health is due to the duration of exposure. In related findings, Italian researchers have been able to detect the earliest signals of neurological damage related to high blood pressure using a more powerful brain scanner. It is hoped the finding will allow scientists to spot the damage when there is still a chance to treat it. Dementia begins to damage the brain long before any symptoms emerge — at this point it is usually too late to treat it. “The problem is that neurological alterations related to hypertension are usually diagnosed only when the cognitive deficit becomes evident, or when traditional magnetic resonance shows clear signs of brain damage. The results come from hypertension patients given brain scans with a powerful 3-tesla MRI machine. They found that people with high blood pressure had damage to critical parts of their brains. They also scored lower on standard cognitive tests of processing, memory, learning and executive function. An important aspect to consider is that all the patients studied did not show clinical signs of dementia and, in conventional neuroimaging, they showed no signs of cerebral damage. The studies were published in the European Heart Journal and the journal Cardiovascular Research (Abell et al., 2018; Carnevale et al., 2018).